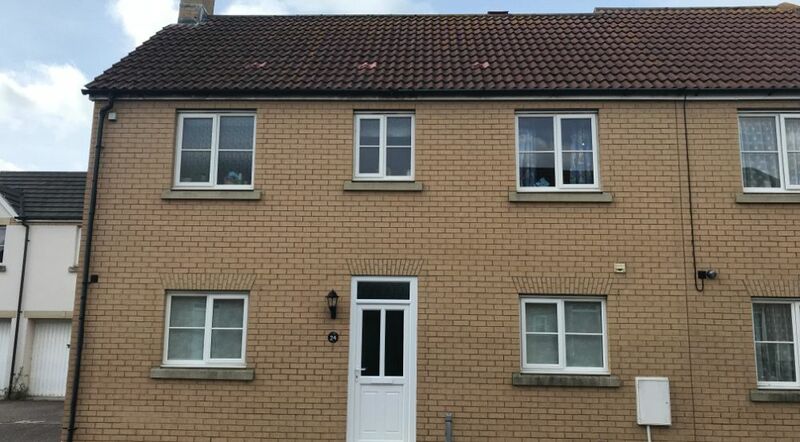 24 Kimberley Park is a deceptively spacious 3 bedroom semi-detached house offered in excellent order throughout, it is brick built with UPVC double glazing and gas fired central heating throughout. The accommodation in brief comprises 18' dual aspect lounge, kitchen/dining room with French doors opening out on to the enclosed rear garden which enjoys a west facing aspect as well as a useful cloakroom on the ground floor whilst to the first floor are 3 bedrooms all with fitted wardrobes, with the added benefit of an en-suite shower room to the master bedroom and a well appointed bathroom. 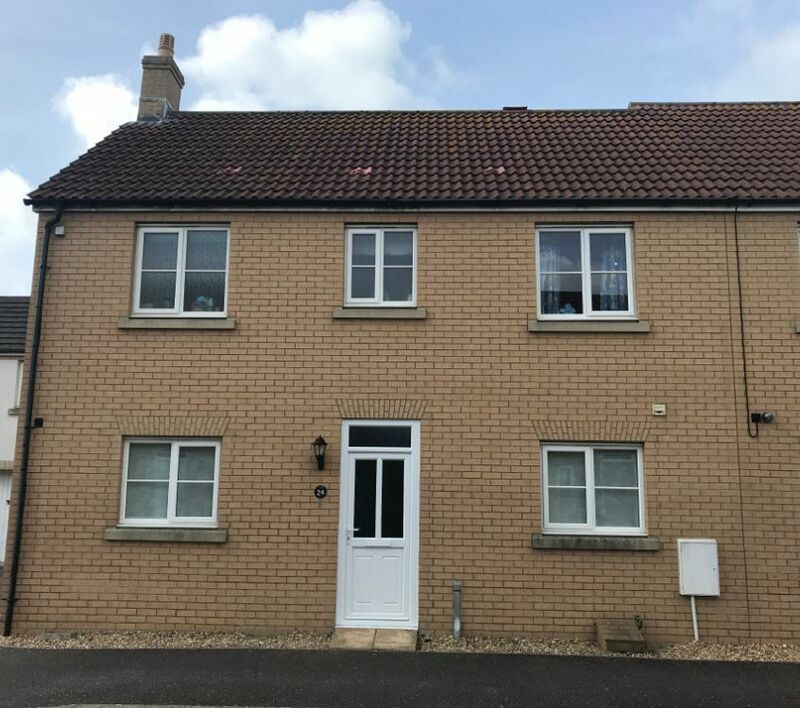 To the rear of the property is a fully enclosed and private garden with patio and lawn (recently re-seeded), and rear pedestrian gate as well as the advantage of a nearby garage and off road parking area to the front. Early viewing is advised to avoid disappointment. Kimberley Park is a modern popular development situated just off J H Taylor Drive in Northam. 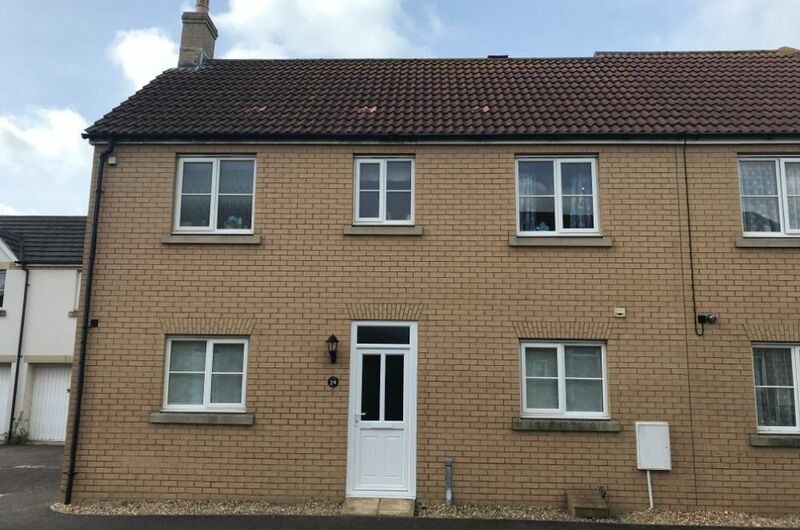 It is a convenient position close to the centre of Northam which offers a range of shops around the square together with nearby Primary and Junior Schools, Library, Health Centre, Chemist and Dental Surgery. It lies within a mile of the Coastal Resort of Westward Ho! famed for its sandy beach and adjoining Golf Course. It is a similar distance to the Historic fishing village of Appledore famed for its fishermen's cottages, narrow streets and impressive Quay Front. The Market Town and Port of Bideford is only 2 miles away offering a full range of everyday shops, choice of Schools, Health Centres and Hospital. Barnstaple, the areas major regional centre is within 15 minutes driving distance via the Link Road which connects the area with the M5 at Tiverton. LOUNGE 18'6 x 10' (5.64m x 3.05m) A dual aspect room including UPVC double glazed window to front and double glazed French doors leading out the rear patio area and GARDEN, feature fireplace with marble surround and hearth, wood mantle and gas flame effect fire inset, 2 x radiators, coved ceiling, TV point and laminate flooring. KITCHEN/DINING ROOM 18'6 x 9'3 (5.64m x 2.82m) with a range of matching eye and base units, adjoining work surfaces, inset 1½ bowl stainless steel sink unit with mixer tap, splashbacking, built-in appliances including gas hob unit with electric under oven and extractor canopy hood over, plumbing for dishwasher and automatic washing machine, space for fridge freezer, UPVC double glazed window to front as well as double glazed French doors leading out to rear patio area and GARDEN, radiator and laminate tiled flooring. CLOAKROOM with low level WC, wash hand basin with tiled splashback, radiator, UPVC double glazed window to rear, and laminate flooring. BEDROOM ONE 14'3 x 10'6 (4.34m x 3.20m) with radiator, UPVC double glazed window to rear, TV & telephone points, 1 x single built-in wardrobe as well as double built in wardrobe, fitted carpet and door to EN-SUITE SHOWER ROOM being well appointed with enclosed mains shower unit, pedestal wash basin, low level WC, radiator, extractor fan, UPVC obscure glazed window to front and wood laminate flooring. BEDROOM TWO 9'7 x 9'3 (2.92m x 2.82m) with radiator, UPVC double glazed window to rear, built-in wardrobe cupboard, and fitted carpet. BEDROOM THREE 9'3 x 6'6 (2.82m x 1.98m) with radiator, UPVC double glazed window to front, built-in wardrobe cupboard, and fitted carpet. BATHROOM Part tiled and comprising panelled bath, pedestal wash basin with mixer taps and pop up waste, low level WC, UPVC double glazed window to front, radiator, extractor fan, and electric shaver point. The rear garden is enclosed and private enjoying a west facing aspect with immediate patio area, leading to a lawned garden (recently seeded), pedestrian access to the rear, outside water tap. There is a single sized garage situated close to the property with an off road parking space in front. Further parking is available off-road to the front of the property. All services at present connected. From our offices on Bideford quay, go straight across at the Heywood Road roundabout junction towards Northam and Westward Ho!, taking the right hand turning sign posted Appledore, along Churchill Way. Continue past Torridge Swimming Pool and take the second turn on the left into J H Taylor Drive. The entrance to Kimberley Park will then be found a short distance along on the right. Once in the Kimberley Park continue round to the right, where Number 24 will be found a short distance round on the left with a number plate and For Sale bard clearly displayed. Situated on a popular residential development, a three bedroom modern house benefiting from master en-suite bedroom, large kitchen/dining room, garage, off road parking and enclosed level garden.